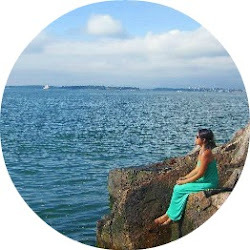 Since we have tons of out of town guests coming to our wedding, we I felt we needed a wedding website to update guests on travel and accommodation. I also overshare (obviously with this blog practically telling you what I eat every morning!) so a wedding website was created. The free Knot wedding websites were pretty good, but didn't allow for tons of creativity not that our wedding website is that crazy. I actually used Google sites. 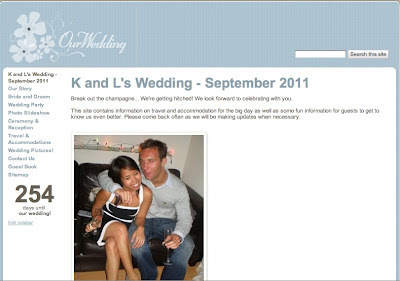 They have some cute wedding website templates that allow you to customise the site. Also, you can incorporate Google Maps to help your friends locate the ceremony. You can also incorporate Picassa which allows guests to upload their pictures into one central place after the wedding. Err... I drink the Google Kool-aid, eh? That's not cute. So, I bought a domain on GoDaddy.com (terrible superbowl commercials but cheap domains!) that looks more like this and redirected it to the Google site. Better! It was super easy so let me know if you're looking to do the same, and I'll point you in the right direction.